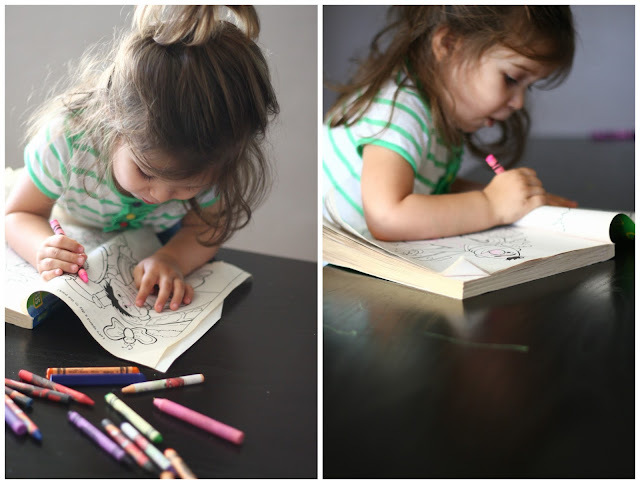 Isla totally embraces her inner artist and loves to color. Of course that makes this mama happy. Like seriously happy. There is just something so fun about coloring. And I am sure it helps that it totally reminds me of my childhood. Hello nostalgia! Isla is also super into the Sesame Street characters. We don't even watch it, but we do have a bunch of the books so she has learned the characters. And you would think I would have learned this by now, but since Connor wasn't really into Sesame Street, I didn't think Isla would get into that craze. Well, it turns out she is her own person and Elmo and Ernie are where it is at! Yeah, those seem to be her favorites these days. Sorry Big Bird. I am so excited about this whole coloring thing, I don't even care about crayon marks on the table...which wipe off super easy. Way easier than I expected, at least. 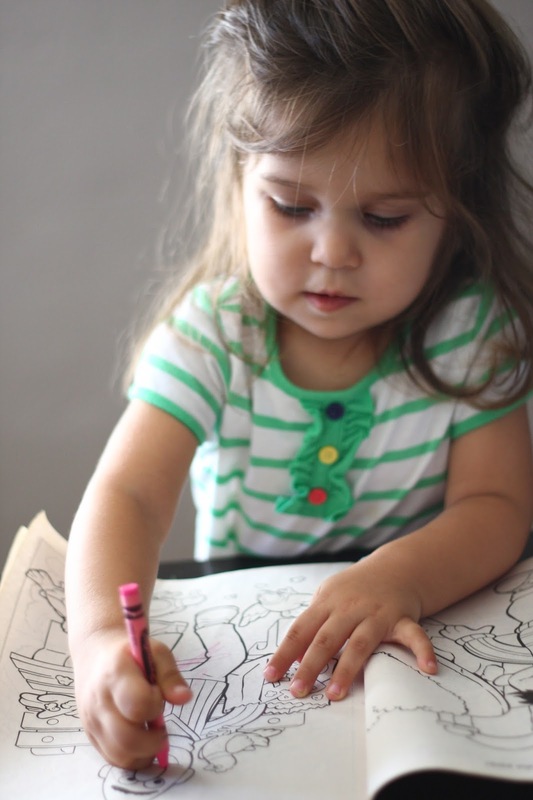 Oh, and even though coloring isn't Connor's thing, he still totally likes getting in on the action by grabbing crayons from Isla and dictating which colors she is allowed to use. Such a great big brother! I still get excited about a brand new coloring book and set of crayons! So I completely understand your excitement about Isla coloring. I love these photos too. Such great captures of everyday moments. These are such cute pictures. What a little artist. Ain't nothing like a new, fresh box of crayons!